The script will stop the dependent services ,stop the main service , start the dependent service and then start the main service. 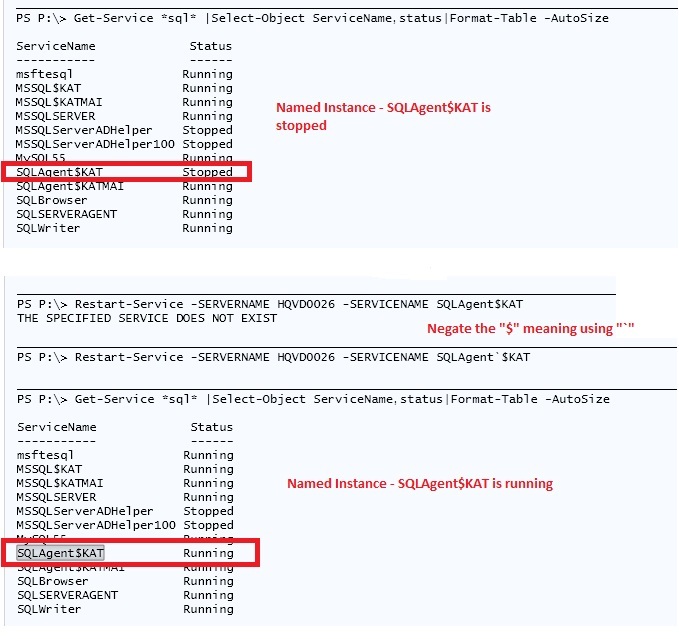 I’ve tested this script by executing it on SQL Services(both default and Named instance). Please do a thorough testing before executing it across production. The different ways of executing it is shown below. You can customize this script as per your requirement. Example 3:-Negate the “$” meaning by using “`” for Named Instance. 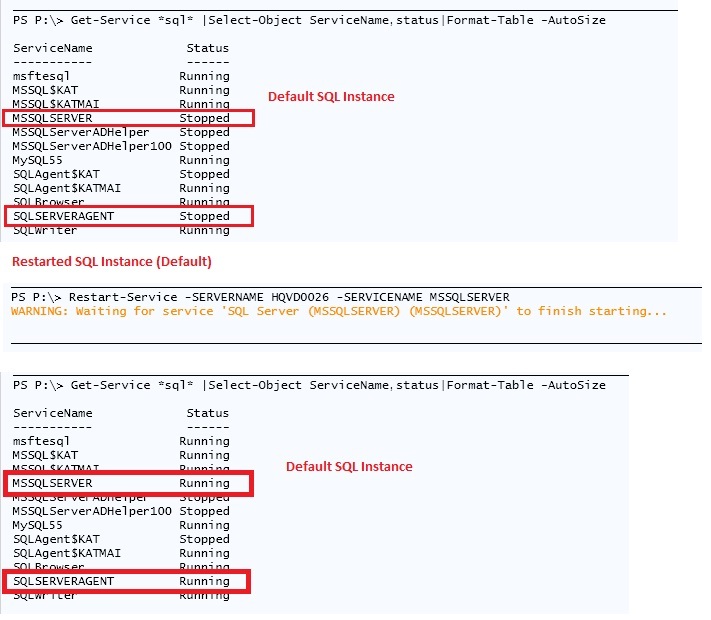 This entry was posted in PowerShell, SQL and tagged Get-Service., Restart-Service. Bookmark the permalink. Thanks for great post. i’m looking for stop/start services in remote machines and send the status report through HTML mail Output. As i’ve found in your posts, only status of the services report in multiple machines. it would be helpful if you can include the stop services in list computers and then send the HTML mail out for all services. write-output "Invalid entries, Try again!!"